I Make The Resolution To Better Plan My Resolutions! – Carry on Beautiful! 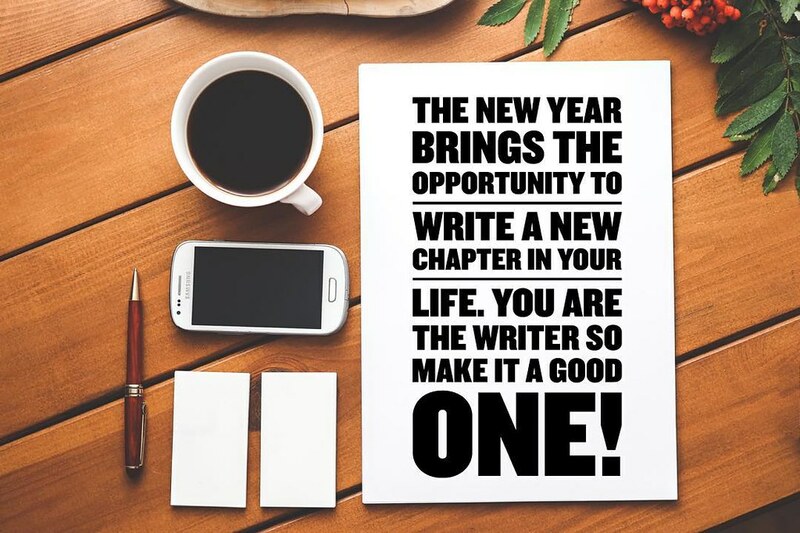 I Make The Resolution To Better Plan My Resolutions! Resolutions are a funny thing. As soon as the bell rings twelve times on the New Year’s Eve, we seem to already decide on the objectives we want to achieve during the next year. Ultimately, the way we take modern resolutions says a lot about who we are and what matters to us. It reveals your inner thoughts and your deep desires, as you decide to make something new happen in your life. That’s precisely why your New Year’s resolutions go through phases. It’s possible that when you were a child, all you wanted was to make it through school and to pass into the next year. But when you become a young adult, your expectations for yourself change. You expect more from life than going through school; you intend to build your life and to create a future that reflects on the person you want to become. As a result, your resolutions begin to move in different directions to highlight your priorities. But do you know what matters even more than what your resolutions say about you? It’s how you make them happen. You’ve probably noticed that we all treat New Year’s resolutions as a wishlist: we wish and then wait for things to set in movement from themselves. So, this year, I’ve decided to take a different approach. Here’s how you could choose to plan your New Year’s resolutions. First of all, it’s logical that if you want to get the best chance to make your resolutions come true, you need to wish for the most meaningful things for your situation. In short, there’s no point deciding to make inspiring changes in your life if they don’t fit with your situation or even with your personality. Remember that what is inspiring for one might not be for another person. It’s a good idea to start by becoming aware of all the good things in your life; all the things you’re grateful for , from your family to your friends, and even your pets and your garden. These are your pillars. They keep your strong and sane in life. Whatever resolutions you choose to take, it’s important that you don’t walk away from your pillars. In fact, the reasons why your brain wants to take resolutions is to clarify your goals and to give meaning to the year to come. You will never find meaning in the destruction of your pillars of happiness, but only in building further paths that make you happy. Let’s start by understanding what resolutions are about. Of course, they are a wishlist; but they are a wishlist for a better you. Most people choose the path of self-improvement. They want to become fitter, stronger, smarter. Would you believe that what keeps a lot of people healthy, year after year, is their choice of New Year’s resolutions? It’s the primary motivation to maintain the mind and the body. So deciding to achieve little things such as watching less TV or reading more can go a long way at the end of the year. Imagine, you’ve decided to read at least a book a month. January might be a little difficult, as it’s tricky to kickstart a new habit. But by December 2018 you could be reading several books in a month, and that’s a real improvement. How about the big things that scare us? The problem most of us experience with New Year’s resolutions is that the brain is naturally attracted to impossible resolutions. It could be any kind of things, but in the end, it means that you can’t keep your resolutions. It’s annoying that more and more people choose not to make any resolutions to avoid the issue. In fact, everything boils down to a trick of the mind that forces us to believe that a resolution is a solution. But as we don’t live in a fairytale, things don’t come true just because we wish for them. Of course, it’s frustrating, but it doesn’t mean that we should stop taking New Year’s resolutions. It’s about staying realistic. Imagine that you want to lose weight over the next year. It’s a great project, but it requires an action plan too. Just wanted it isn’t enough. That’s where most resolutions fail. I don’t think resolutions are impossible to keep. But I think that without the appropriate planning, they will never happen. The secret is not in picking the right thing out of your wishlist but in planning for it, and also accepting that some things need a long time to happen. The earlier you start planning, the more chances you’ve got! You might not have followed the news closely, but for young adults, it has become increasingly difficult to afford the purchase of their first home. It doesn’t mean that you can’t wish for it. But if you’re considering buying a flat or a house, you need to start looking at your options right now. Keep an eye on the real estate market to get an idea of the current prices, so that you can set your saving strategy in action. It might take a few years, depending on the kind of property you want, but once again if you never start you can’t get there. It also helps to visit some properties on the market to get a sense of what you want and what to look for. Be aware as well of the tricks to understand the quality of the property you’re visiting. From dimming the lights to checking the brickwork, you need to be smart to find out the hidden cracks and flaws. But knowing these real estate tricks can help you to decide on your budget and the amount of DIY you can afford. Buying a house is a big investment, and it’s one that might take several years to happen. But in the meantime, you can try your hand at a more affordable resolution, such as buying a car. It’s a good lesson in managing your budget and adjusting to a saving strategy, especially if you’re planning for big purchases in future. Finding out the best way to research and save money on your car is the kind of knowledge you want to develop. What do you learn when you look for a decent used car? You learn to stick to your budget. You learn to research your sources. You also learn to compromise and decide on what you need vs what you want. It might sound silly, but you can’t wish for a car, a home, an exotic holiday without planning for it appropriately. Making resolutions about small purchases is all about learning how to make them come true. It’s not uncommon for girls or young women to wish they could change their figure. The New Year’s resolution is focused on dropping a dress size or more by the end of the year. But if you decide to act on it, you need to avoid harmful diets that claim to help you to lose a lot of weight in a short time. Extreme diet and fitness plans are unhealthy. They put your body and your mind under a lot of pressure, and you are more likely to gain the weight back. Your body needed time to change and put on weight. Consequently, you need to respect your metabolism and take the time to improve your figure. Set a plan that is realistic and healthy in the long term. Is losing a dress size your ultimate goal? It’s a fair question. After all, is your objective to get slimmer, or to get rid of unhealthy habits? They are two different kettles of fish. Losing weight may be a recurring resolution if you don’t change your habits. Creating a healthy lifestyle is the way to remain fit and strong all year round, year after year. But when you choose to address bad habits in your life and to change them, you will not just feel the improvements in terms of fitness. If you decide to be more active, your body will get stronger and healthier. But you will also experience less stress – as sports can release stress – and you will also sleep better at night. Choosing healthy food over junk takeaway is not just good for your waistline. Gradually, as you fuel your body with the right vitamins and minerals, your immune system and your mood can improve too. In short, if you resolve to lose weight, think of the big picture and remove the habits that stop you from being the healthy, strong and happy person you want to be. If you’re a young adult and you want to give yourself the best chances in your career, you might want to take a look at volunteering missions in your area or even abroad. Building up a career doesn’t happen by wishing for it but by filling your CV with experiences and skills that others don’t have. Don’t just wish for a better job, make it happen day after day! Here’s how I want to plan my resolutions better. Hopefully, you can find inspiration to build your path to a better you too!